MISSION, KS--(Marketwired - Apr 20, 2015) - (Family Features) From impromptu dinners with pals to celebrating special events with family, warm weather adventures await in your own backyard. Before you invite the gang over to enjoy cocktails or a cookout, make sure your outdoor spaces give the right impression for enjoying those carefree summer moments. Feed mosquitoes something they'll die for. 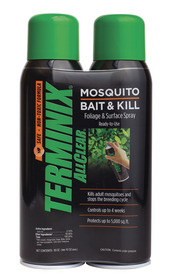 First-of-its-kind Terminix AllClear Mosquito Bait & Kill mimics a mosquito's natural food source -- plant sugar -- to bait, kill and collapse populations by more than 90 percent in just two to three weeks. 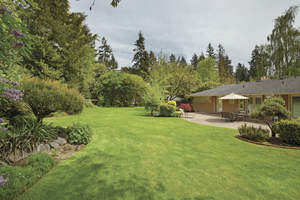 As temperatures rise, spray on non-flowering foliage or non-porous surfaces throughout the yard. Mosquitoes can't resist bait. After feeding, they stop biting and will soon die. Even better -- this innovative formula is non-toxic and safe for people, pets and the environment. For more information, visit www.baitandkill.com. Improve your surrounding outdoor porch or garden with a sleek fire pit styled in a black steel finish and natural slate tile top. This gorgeous outdoor fire pit comes with a spark screen for safety, poker tool, table and vinyl cover. 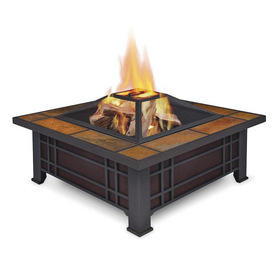 Add a fire pit to your decor and you'll have an essential piece for intimate gatherings. The geometrical cross sections draw from Asian design, while the square shape offers a modern feeling. For more information, visit www.Overstock.com. 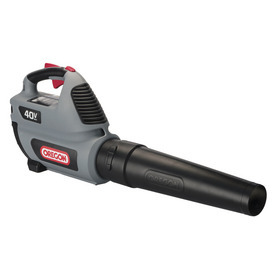 The OREGON 40V MAX BL300 Blower is the ultimate tool to clean up your yard. Powered by premium battery technology, the BL300 delivers gas-like performance of up to 507 CFM. Its variable speed trigger puts you in control, while the Turbo button offers a burst of power for your toughest yard jobs. With just a push of the button, it's ready to work when you are, no cords or emissions to worry about. For more information, visit www.oregoncordless.com.